This is my research specificially into the world of API security, which tends to be an extension of web security. I am trying to look at it from specifically an API lens, trying to understand what API providers need, as well as help service providers focus in on delivering services that meet their needs. Streamdata is a software vendor making real-time data accessible to all by operating a proxy turning request / response APIs into feeds of real-time events. I keep an eye on over 70 areas of the API sector, trying to better understand how API providers are getting things done, and what services and tooling they are using, while also keeping my perspective as an API consumer--observing everything from the outside-in. 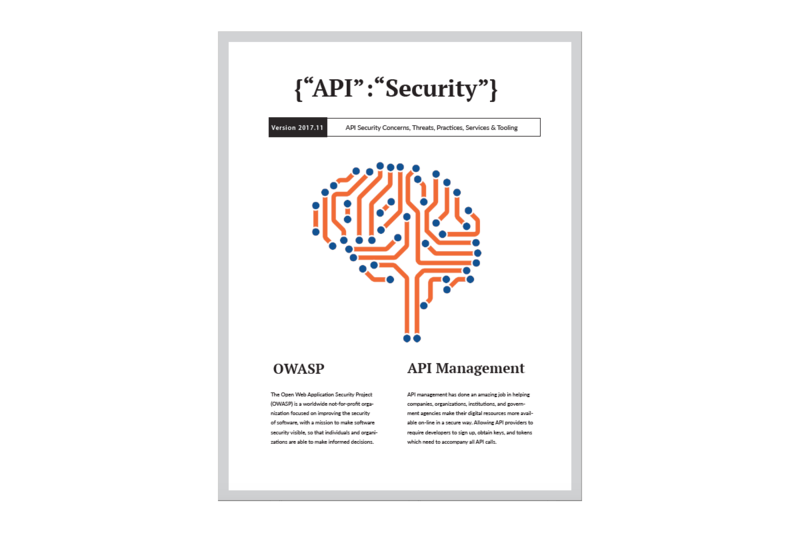 One of the important areas of my research is API security--where I pay attention to the common ways in which API providers are securing their resources, as well as some of the leading edge solutions brought to the table by the latest waves of API security service providers. The way my research works is that I keep an eye on the world of APIs through monitoring the social media, blogs, Github, and other channels of companies, organizations, institutions, and agencies doing interesting things with APIs. I curate information as I discover and learn across the API sector, then I craft stories for my blog(s). Eventually, all of this ends up being published to the main API Evangelist blog, as well as the 70+ individual areas of my research from definition to deprecation. I am versioning and managing all of my API industry guides using the Github repositories in which I publish each of my research areas, so you can comment on the API security guide, and submit suggestions for future editions using the Github issues for the project. My goal with this new edition of the API Evangelist API security guide is to make it a community guide to the world of API security. So please, let me know your thoughts. These are the news items I've curated in my monitoring of the API space that have some relevance to the API security conversation and I wanted to include in my research. I'm using all of these links to better understand how the space is security (or not) their API infrastructure, and addressing the biggest problem we face online today.